Clockwork Dog burst onto the scene almost a year ago with their first game, Langstroth’s Last Riddle. For a first game and a popup it was pretty stunning, but it definitely had its weaknesses, and the venue was a big part of why it was so good. 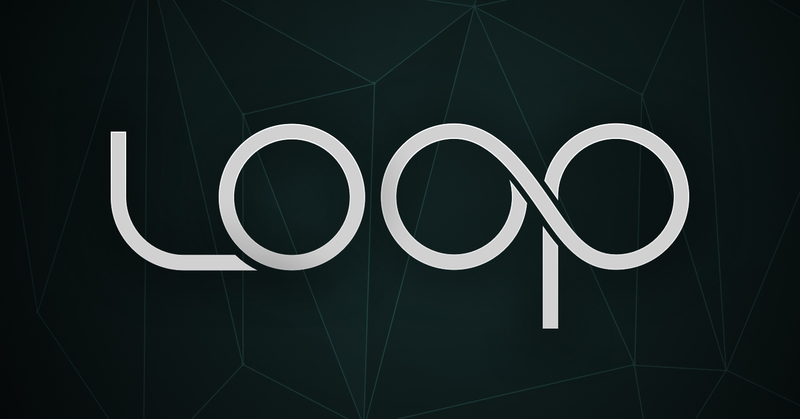 Everything went quiet for a very long time and, just as I was starting to give up hope, Loop was announced. Reviewers went, reviewers raved. Mainly, though, they told their readers to try not to find out too much about the game. It was clear that there was something special – no game has ever received such widespread adulation from so many different people. Every reviewer who attended gave it top marks. The game was never due to run very long and, due to an unfortunate sequence of events, I ended up going along towards the end of their run. Every cloud has its silver lining, though, and, after playing, the designers gave me permission to disclose some of the secrets of the game in case it doesn’t see the light of day again. There are aspects of this experience that deserve to be remembered. STOP PRESS: This game has now re-opened at the Panic Room in Gravesend. This isn’t a genuine spoiler – just a safety check. Hopefully you’re seeing it because you deliberately clicked on the spoiler tag but, if not, then be warned: you may run into the spoilers by accident! The experience started as soon as we arrived at the venue. There’s no suggestion that this is a game – you’re greeted in character by the technician, who explains that you were supposed to be testers for a machine that the company was creating. Unfortunately, the designer has gone AWOL. Perhaps you can head into the room, fix up the machine and then take the test? With various pieces of lab equipment lying around and a computer full of code on display, you get the feeling that this is a high-end science experiment, but you’ll only find out more inside. Be the first to test a pioneering new technology, in an experiment that will change the course of human history. Welcome to Frontier Engineering — a private research and development company working on nuclear transmutation, quantum tunnels and the applications of dark energy. We entered the room knowing almost nothing and, to be honest, it stayed that way for much of the time. Instead, the game gives you the general feeling that you’re in a sort of IT/science project with racks of computers and puzzles that reference science. For a pop-up, the set was impressive – way beyond what many permanent escape rooms even attempt, including a range of electronics that felt pretty solidly ensconced. Yes, there were moments when it felt a little flimsier than I’d have liked, but they were few and far between. As the game unfolded, the storyline appeared. The fact that they’d kept it a secret meant you knew it would likely be interesting, but it went well beyond that. They thoroughly interwove it with the game, making for a truly tense experience towards the end. The puzzles, while not numerous, were sufficient, and what they lacked in sheer volume they made up for on the quality front, both in concept and in implementation. Pattern-matching, searching, physical interactions with the room, clever tricks, observation, aha moments… It really felt like they’d packed in a lot of variety and fun into the puzzles that they’d chosen, and there were some genuinely original twists. In terms of layout, it was very parallelisable. There were generally multiple strands you could work on at any one time, with pinch points to bring the team back together as those strands were completed. Along the way, they gave a good sense of progress by illuminating lights on the wall to show how well you were doing with activating the machine. At key moments, the team were brought together to experience the tension. In particular, for the storyline update, they effectively sequester you from the game so there’s no danger of team members getting distracted. So. What about this spoiler then? Well, as you may have picked up, there’s a twist to this game that most people won’t see coming. When you’re thrown into the room, you’re told that they don’t really know what the machine does. As you reach the midway point, you find out that it’s a time machine. By completing the first half of the game, you’ve activated “the Loop”. At that point, there are effectively two copies of you – with you entering both halves of the game simultaneously. If you don’t exit the second half of the game before the team who’ve just entered the first half catch you up, you’ll create a time paradox. That in itself was a clever premise – racing against yourselves was a neat idea and added a huge amount of tension to all teams regardless of whether they were super experienced or first timers. What truly impressed me, though, was how they’d developed the immersion in the second half. First off, those lights that gave you a good sense of progress in the first half come on at the same time in the second half – each time one illuminates, it adds a little extra stress to the experience. Even that wasn’t the clever part, though. No. The really clever part was that they recorded the audio during the game and played it back to you as background on the second side. For us, that was vague murmurings that were clear enough to know it was us but no more. I talked to about ten other teams that headed along, and they universally reported hearing themselves quite clearly. For me, that was an insanely clever touch that changed the twist from being a momentary joy to an extended act of immersion. We escaped in 38 minutes without having taken any clues. If we had received any, they would have come in text form through a device that we carried with us in the game. Clockwork Dog know how to put on a spectacle – we found that out from their first game. This time round, they showed it again but also proved that they’d learned about making engaging puzzles. This game had everything I wanted: a decent set, good puzzles, some fun tech, an intriguing story that built during the game and some special moments. It’s a travesty that it was only open for a couple of months. I genuinely hope that this experience will be bought by someone or brought back by Clockwork Dog in the future. It truly deserves to be played by more people!